Ta-da! Your to do list, simplified. If you’re anything like us, your to do list is a mile long and might look like an explosion in a sticky note factory. 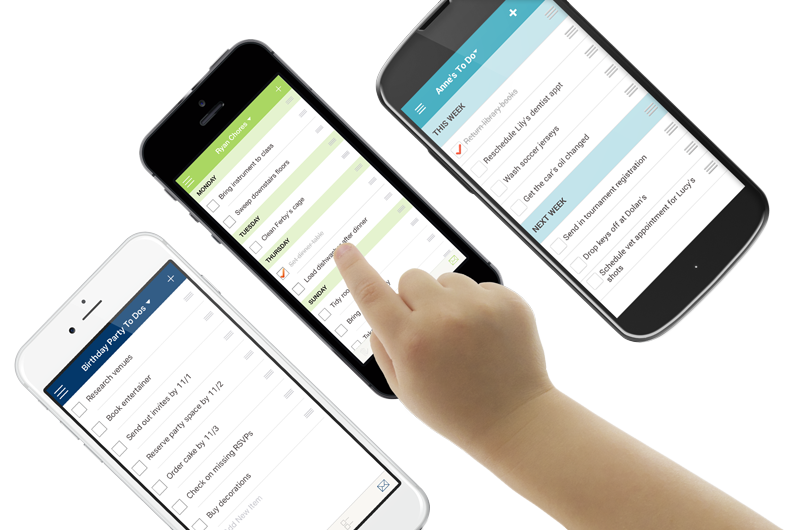 Simplify your to dos with Cozi by keeping everyone’s tasks and chores in one place the whole family can share. Let Cozi remember your to dos, so you don’t have to. Create a personal to do list, a honey do list, or individual chore lists for the kids. Add as many lists as you want: emergency supplies list, packing list, camping supplies, project tasks—whatever you need. Easily reorder items by priority and add headers to organize. Have a task you absolutely can’t forget to do? Add a due date and it will automatically appear on your family calendar. Assign family members to any list to share the work around the house (without nagging!) You can even print chore lists and post them where they’re bound to be seen. 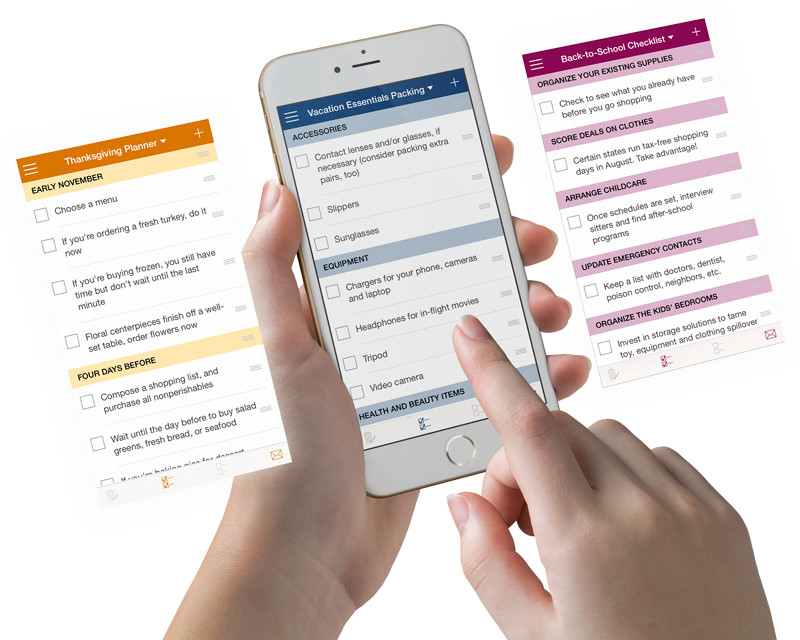 For an extra quick start, add a pre-made planning checklist from the Cozi list library. Choose from lists like the Birthday Party Checklist, Vacation Planning List, After School Checklist, and more.